Russian claims his theory to introduce herds of animals to Siberia can slow global warming. Semi-wild Yakutian horses are seen at the Pleistocene Park, a 40,000 acre wilderness in northern Siberia, Russia. Russian scientist Sergey Zimov is trying to recreate conditions from the end of the Ice Age when this area was rich in wildlife and summer meadows. CHERSKY, Russia — Wild horses have returned to northern Siberia. So have musk oxen, hairy beasts that once shared this icy land with woolly mammoths and saber-toothed cats. Moose and reindeer are here, and may one day be joined by Canadian bison and deer. Later, the predators will come — Siberian tigers, wolves and maybe leopards. Russian scientist Sergey Zimov is reintroducing these animals to the land where they once roamed in millions to demonstrate his theory that filling the vast emptiness of Siberia with grass-eating animals can slow global warming. “Some people have a small garden. I have an ice age park. It’s my hobby,” says Zimov, smiling through his graying beard. His true profession is quantum physics. Climate change is felt most sharply in the Arctic, where temperatures are warming faster than anywhere else on the planet. Most climate scientists say human activity, especially industrial pollution and the byproducts of everyday living like home heating and driving cars, is triggering an unnatural warming of the Earth. On Monday, negotiators representing 194 countries open a two-week conference in Cancun, Mexico, on reducing greenhouse gases to slow the pace of climate change. Zimov is trying to recreate an ecosystem that disappeared 10,000 years ago with the end of the ice age, which closed the 1.8 million-year Pleistocene era and ushered in the global climate roughly as we know it. He believes herds of grazers will turn the tundra, which today supports only spindly larch trees and shrubs, into luxurious grasslands. Tall grasses with complex root systems will stabilize the frozen soil, which is now thawing at an ever-increasing rate, he says. Herbivores keep wild grass short and healthy, sending up fresh shoots through the summer and autumn. Their manure gives crucial nourishment. In winter, the animals trample and flatten the snow that otherwise would insulate the ground from the cold air. That helps prevent the frozen ground, or permafrost, from thawing and releasing powerful greenhouse gases. Grass also reflects more sunlight than forests, a further damper to global warming. “This is a very interesting experiment,” said Adrian Lister, of the Natural History Museum in London. “I think it’s valid from an ecological point of view to put back animals that did formerly live there,” he told AP Television News. He disapproved of suggestions to rewild nonnative species — for example, relocating elephants and rhinos to the American plains. Zimov began the project in 1989, fencing off 160 square kilometers (40,000 acres) of forest, meadows, shrub land and lakes. It is surrounded by another 600 square kilometers (150,000 acres) of wilderness. It is an offshoot of the Northeast Science Station, which he founded and where he has lived for 30 years. Already icebound by October, the park is 40 kilometers (25 miles) inland from the station, accessible only by boat in summer and by snow vehicles after the rivers freeze. A 32-meter (105-foot) tower inside the park gives constant readings of methane, carbon dioxide and water vapor. The data feeds into a global monitoring system overseen by the U.S. National Oceanic and Atmospheric Administration. Zimov’s research on permafrost, greenhouse gas emissions and mammoth archaeology has attracted world scientists to his laboratories, a small cluster of cabins and a tiny chapel on a rocky bluff above a channel of the Kolyma River. A 20-bed barge is used for field trips in summer, and a $100,000 hovercraft is on order. Zimov sometimes uses an old Russian tank to bring supplies from the Chinese border, 2,000 kilometers (1,200 miles) away. Part of the station’s attraction — and deterrence — is its remoteness. It is 6,600 kilometers (4,000 miles) and eight time zones east of Moscow. The nearby town of Chersky, with some 5,000 people, has few amenities, and the nearest city, Yakutsk, is a 4-1/2 flight. Many researchers, particularly Americans, prefer to work in Alaska or northern Canada, which are more accessible. “Most of the Arctic is in Russia, and yet most of the Arctic research isn’t,” said Max Holmes, of Woods Hole Research Center in Massachusetts, director of the Polaris Project, which has sent undergraduates to the station for the last three summers. Zimov started the park with a herd of 40 Yakutian horses, a semi-wild breed with a handsomely long mane that is raised by Yakuts and other native people for their meat. Short, sturdy and broad-backed, they survive harsh Siberian winters with the help of a furry hide, thick layers of fat and the ability to paw through a meter (3 feet) of snow to forage. But he bought more. Now the horses have learned to avoid poisonous plants and to resist predators. Over the last three years, more colts were born and survived than horses lost. The challenge is to find the right balance between grazers and predators, and how to help his animals get through their first winters. His workers still give occasional buckets of grain to the horses to supplement their diet with salt. About half the horses come regularly to the cabin where a caretaker stays year-round. The other half are rarely seen except for their tracks. Zimov also has had problems with the moose that he brought inside his enclosure. Moose still live in small numbers in surrounding forests, and the males jump back and forth over the 6-foot-high fence. In September he traveled to a nature reserve on Wrangel Island, about five hours by boat across the East Siberia Sea, and brought back six 4-month-old musk oxen. One died a few weeks later. The others are kept in a small enclosure and fed hay until they can fend for themselves. His objective is to see whether a thriving population of grazing animals will regenerate grasslands that disappeared long ago, which would slow and even halt the accelerating pace of permafrost thaw. So far, he says, the results are encouraging. Today he has 70 animals in the park. He wants thousands to restock Siberia. To bring 1,000 bison from North America would cost $1 million, Zimov says, a small price to pay. AP Television News producer Siobhan Starrs and APTN cameraman Dmitry Kozlov contributed to this story. (University of Adelaide via ScienceDaily, 3 May 2010) — A team of international researchers has brought the primary component of mammoth blood back to life using ancient DNA preserved in bones from Siberian specimens 25,000 to 43,000 years old. Studies of recreated mammoth hemoglobin, published May 3 in Nature Genetics, reveal special evolutionary adaptations that allowed the mammoth to cool its extremities down in harsh Arctic conditions to minimize heat loss. “It has been remarkable to bring a complex protein from an extinct species, such as the mammoth, back to life,” says Professor Alan Cooper, Director of the Australian Centre for Ancient DNA (ACAD) at the University of Adelaide, where the mammoth hemoglobin sequences were determined. This is true paleobiology, as we can study and measure how these animals functioned as if they were alive today.” Professor Cooper is an Australian Research Council Future Fellow and a member of the University’s Environment Institute. “We’ve managed to uncover physiological attributes of an animal that hasn’t existed for thousands of years,” says team leader Professor Kevin Campbell of the University of Manitoba, Canada. “Our approach opens the way to studying the biomolecular and physiological characteristics of extinct species, even for features that leave no trace in the fossil record.” The project began over seven years ago when Professor Campbell contacted Professor Cooper, who was then based at the University of Oxford, to suggest resurrecting mammoth hemoglobin. 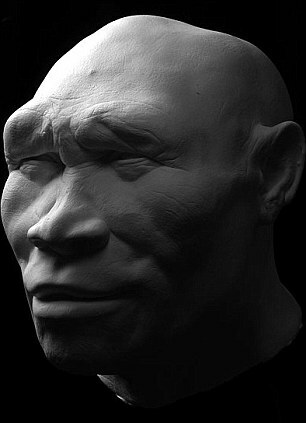 A mysterious species of ancient human has been discovered in a cave in southern Siberia. 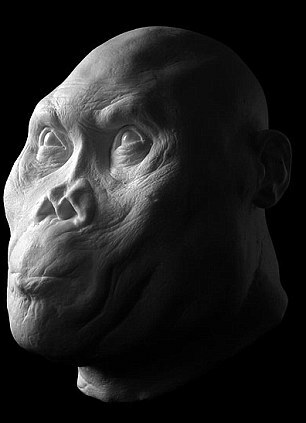 Nicknamed X-Woman, scientists say the human lived alongside our ancestors tens of thousands of years ago. The discovery, which could rewrite mankind’s family tree, was made after analysis of DNA from a fossilised finger bone. Experts believe the finger belonged to a child who died 48,000 to 30,000 years ago. It was thought only two species of early humans lived at that time – the ancestors of modern man and the Neanderthals, who died out soon afterwards. But the DNA evidence published in the journal Nature reveals a third species. The latest study was based on an analysis of ‘mitochondrial’ DNA – a genetic code passed from mothers to children. 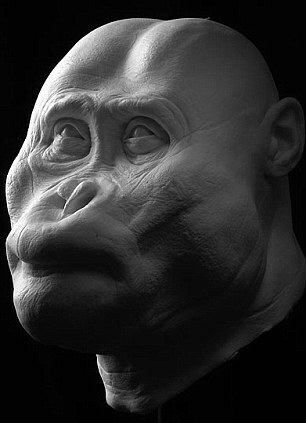 Researcher Dr Svante Pääbo said the code was different from that of Neanderthals and modern humans and was ‘a new creature that’s not been on our radar screens so far’. The scientists are unable to say what X-Woman looked like and are even unsure if the finger belonged to a male of female, but Dr Pääbo said they named her X-Woman ‘because its mitochondrial and we want to take a feminist tack on this’. 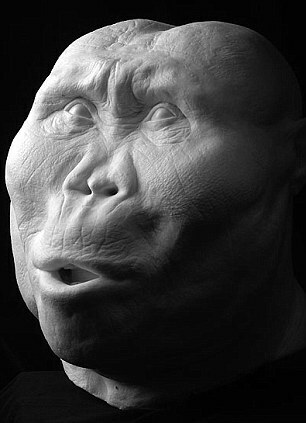 The discovery of the ‘X-Woman’ comes as scientists revealed images of what man looked like millions of years ago. Gathering bone fragments from across the globe, paleoanthropologists used sophisticated research methods to form the 27 model heads, which are on show at the Senckenberg Natural History Museum in Frankfurt, Germany. 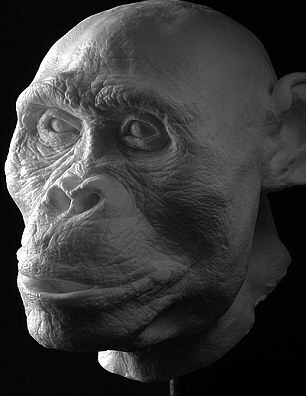 The exhibition goes back seven million years to sahelanthropus tchadensis and traces the numerous stages of man culminating with modern-day homo sapiens. Each of the heads is used to tell its story: where they lived; what they ate; and what killed them. It shows how researchers today use satellite image analysis and computer tomography. There is little doubt that Africa is the cradle of humanity and this is where the most ancient of the remains were unearthed. 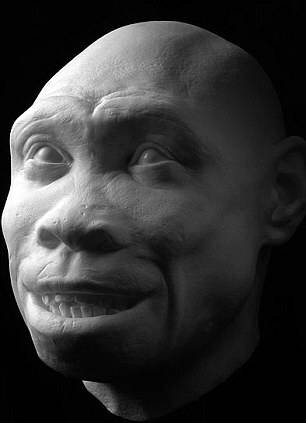 But clues to other pre-human species have been found in the Middle East and Far East. 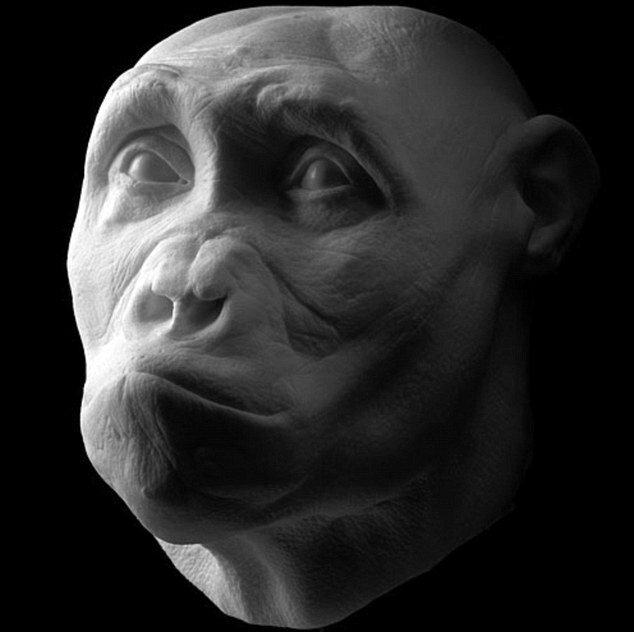 Only a few thousand fossils of pre-human species have ever been discovered and entire sub-species are sometimes known only from a single jaw or fragmentary skull. 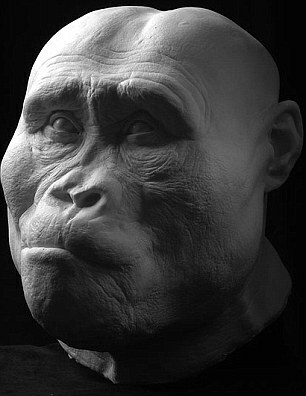 Experts are often forced to resort to educated guesswork to fill in the gaps in research to come up with images of human ancestors. 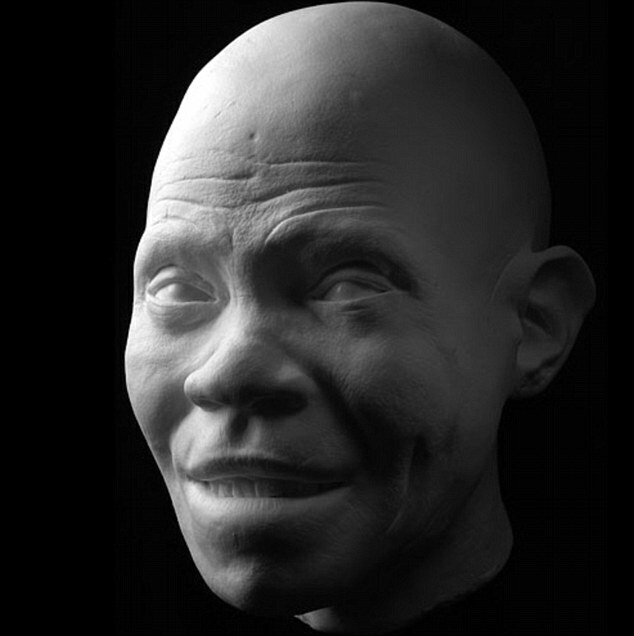 Each new discovery means paleoanthropologists have to rethink the origins of man’s ancestors. 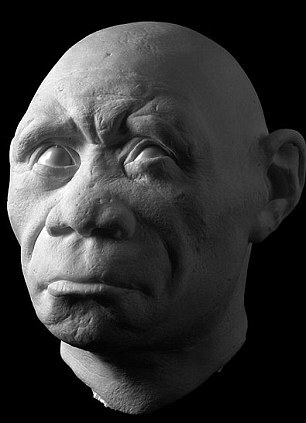 The previously held concept of primitive man – characterised by a large brain and the ability to manufacture tools – has had to be changed by researchers. 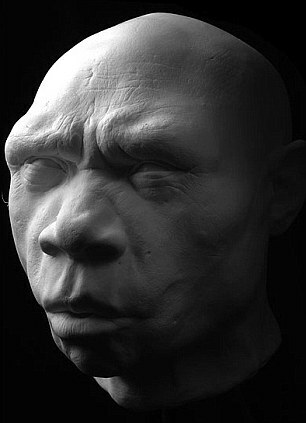 European natives of primitive man, homo heidelbergensis, are believed to have been able to make perfect javelins from wood 400,000 years ago and are also thought to have had the ability to plan for the future. 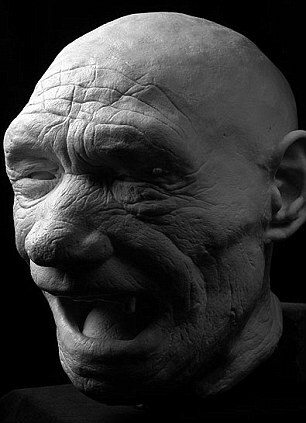 Neanderthals are also now thought to have had far more culture and craft skills than earlier research indicated. The bones and tusks of the ancient creatures are becoming more prevalent as permafrost thaws. Now entire villages are surviving on the trade in mammoth bones. Reporting from Moscow – The beasts had long lain extinct and forgotten, embedded deep in the frozen turf, bodies swaddled in Earth’s layers for thousands of years before Christ. Now, the Russian permafrost is offering up the bones and tusks of the woolly mammoths that once lumbered over the tundra. They are shaped into picture frames, chess sets, pendants. They are gathered and piled, carved and whittled, bought and sold on the Internet. The once-obscure scientists who specialize in the wastelands of Siberia have opened lucrative sidelines as bone hunters, spending the summer months trawling the northern river banks and working networks of locals to gather stockpiles of bones. They speak of their work proudly, and a little mystically. “You need to have luck to find bones,” said Fyodor Romanenko, a geologist at Moscow State University. “I don’t look for bones. I find them. They find me. The mammoth finds have been growing steadily over the last three decades as Russia’s vast sea of permafrost slowly thaws. Russian scientists disagree over whether global warming is responsible. Some say yes, others are skeptical. But nobody argues that the permafrost is dwindling — and they’re glad to have the bones and tusks, especially when the increased yields coincide with bans on elephant ivory. Hand-to-mouth reindeer herders on Russia’s desolate tundra have coexisted with the traces of mammoths for generations. Romanenko claims that there are cases of long-frozen mammoth meat being thawed and cooked, or fed to the dogs. Now entire villages are surviving on the trade in mammoth bones. And a new verb has entered the vernacular: mamontit, or “to mammoth” — meaning, to go out in search of bones. “People used to just come across bones and throw them aside or take them to the garbage, because they were not interested in them,” said Gennady Tatarinov, who oversees a reindeer farm in Anyuisk, a frigid village 4,000 miles northeast of Moscow. Many of the populated areas have been picked clean, driving scavengers deeper and deeper into the wilderness in the hunt for bones. The smoothest bones go to collectors and museums around the world; the less perfect samples are shipped to carving factories, especially in China, where they are refashioned into high-end household items and keepsakes. The price has dropped sharply in recent months. The global financial crisis coincided with a massive sell-off of elephant ivory in Africa to gut the price of mammoth bones: The cost for a kilogram (2.2 pounds) of high-quality bone plunged from $700 to $220. Still, 50 tons of mammoth bone are turned up every year in Russia — and the number keeps growing. “It’s the highest it’s ever been,” said Fyodor Shidlovsky, head of the National Alliance, a network of search groups, coastal exploration bases, restoration workrooms and carving shops. Shidlovsky has long been infected with a passion for Russia’s great white north. Every year since 1979, he has ventured to Siberia from June until deep into the fall, gathering bones and wading through the paperwork needed to ship them to Moscow. He spends the rest of the year in Moscow, presiding over a kitschy Ice Age museum and peddling his finds in hopes of financing the next year’s expedition. He lounged behind his desk in the museum office on a recent morning. Outside his door, schoolchildren climbed onto a platform and gawked down into a hole at the “mammoth in a pit,” the re-creation of a woolly mammoth snared in a trap by ancient man. The wild-haired creature’s head rears below them, tusks high, plastic eyes panicked. The creature’s trunk is wired to flail sorrowfully. At the other end of a showroom of elaborately carved chess sets, Shidlovsky pointed to a massive, wall-mounted television screen and pressed “play” on a remote control. Suddenly there were images of Shidlovsky trawling the summer-thawed rivers of Siberia in a motorboat to pry bones from the exposed banks. Workers wrapped the relics in plastic bags, loaded them onto pickups and sent them off to the airport. In truth, this trade is not entirely novel. Man has been hunting mammoths in Russia’s icy north as far as memory reaches. The permafrost holds bones that bear workmanship from the Stone Age — which scientists in Siberia sometimes call the “bone age” in homage to the many weapons and tools hacked from mammoth bones. Wealthy Chinese imported the bones in the 1st century, and when the first Russians arrived in the far reaches of Siberia in the 17th century, they traded bones along with furs. “It used to be when we found bones we’d donate them to museums for displays and samples,” Romanenko said. “Now we register them, get the carbon date and either give them as gifts or. . . .” He paused.